I speak at business events to entrepreneurs and other founders as well as senior business leaders who wish to transform their organisations. 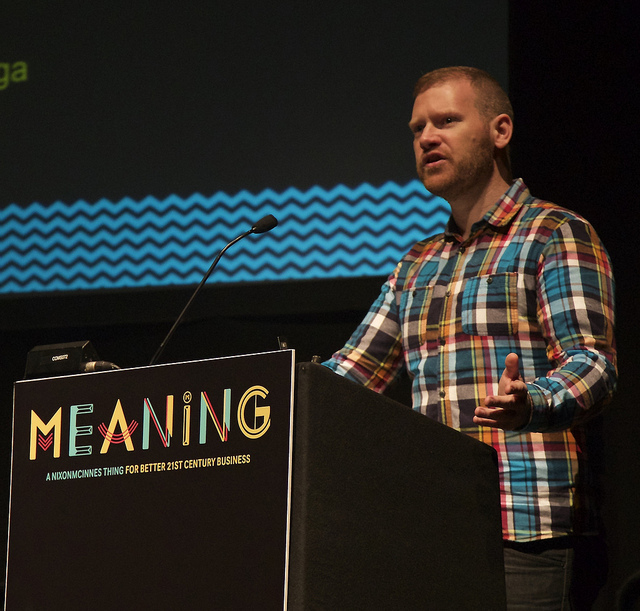 I presented the Meaning Conference on better 21st century business in 2013 and 2014 and have spoken at The Houses of Parliament, Chatham House, Startup Chile and Responsive Org London. You can watch a video of me telling part of the story of my own journey as a founder. All keynotes are tailored to the event. Depending on the audience I will deliver either a presentation or a more interactive workshop format. To discuss your needs and fees, please contact me.